It must be the equivalent of raging against the dying of the light- holding on to summer as Autumn approaches- but today, the male 75% of this household makes its second pilgrimage of the week to a cricket ground. Bank Holiday Monday saw us at Chester le Street to watch a 40 over match (kids go free! 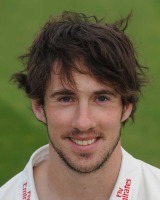 ): Durham v Surrey. We were lucky enough to see one of the best one day innings I have seen from one of the most unlikely quarters; an opening batsmen, W.R. Smith, with a career that perhaps has so far not quite reached the heights that seemed possible, coming in in the middle order to rebuild an innings. At first he played correctly, nudging and nurdling, and then opened up, completely dominating a young attack to reach 120 not out. If you don’t like cricket, that was just gobbledegook. If you do, that is one of the reasons to see cricket as a sublime game: long periods of jockeying for position- sometimes almost attrition- lit up by something incredible. Today we make another pilgrimage to the same ground to see an International Match: England v Australia 20/20- the women’s game first, then the men’s. Personally I prefer the slowness of 4/5 day cricket, but I have two children who are surpassing me in ability and drawing close to me in enthusiasm for cricket. Author GrahamPosted on August 31, 2013 Categories cricketLeave a comment on Yet more cricket…. So the call came last week: the local team were short- would my 12 year old son play? It was a friendly so it would be ‘easy’. We turned up; it was a friendly, but a good half of the players on both sides were from the first team (the local club has 2 senior league teams). My son blanched; ‘they are all too big’. But I cajoled and he stayed. The game began and I umpired. I like umpiring. But there is a difference between under 11s umpiring and adult umpiring. Even in a ‘friendly’ they are serious and expect you to know a lot; fortunately I am a good actor. However, after a few overs the captain noticed they were still one short and I was told to remove the umpires coat and start playing. So I did: the first time I have been in an umpired match since 1997. I was very rusty, but fortunately managed to act well enough not to be a liability in the field. Then the moment came I both dreaded and longed for: the ball was thrown to me ‘You’re on’- I had to bowl. Now when I played I was average at bowling; occasional off cutters and off breaks that took a wicket or two but also got caned by sloggers unless the pitch was really slow- as I was slow, sometimes they hit catches. Not surprisingly I wasn’t great but I didn’t bowl the most expensive over in the match and a nervous first ball wide didn’t help. In fact I was outbowled by my son who returned the creditable figures of 2-0-11-1. What other game can have 12 year olds to people in their mid 60s in the same team? And where narrowness of girth is not a prerequisite to taking part? 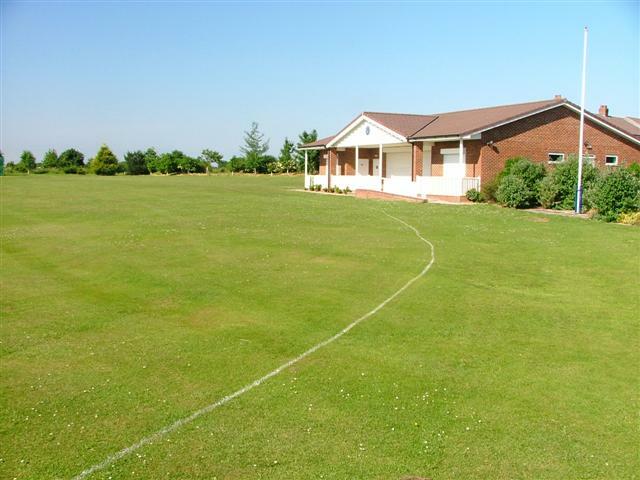 And part of me I tempted to start practicing again…maybe I could be good enough for the occasional friendly or 2nd XI if everyone else is on holiday…maybe, maybe….and maybe I am just deceiving myself….. cricket is like a drug and I will forever be addicted…. ..and if I could just find a job where all I had to do was play village cricket, act badly in amateur dramatics, go to gigs, drink beer…. Author GrahamPosted on August 26, 2013 Categories cricket, Hutton RudbyLeave a comment on Village Cricket…. I found a lovely prayer at the church in France that I went to a fortnight ago. ‘God of my unbelief, increase my faith. Help me to know that you are walking with me… you carry me through times of darkness and discouragement. Deepen my understanding that faith is not about sight but about vision. For this I give you faith-filled thanks, praise, and glory. Amen’. It has struck me, being an introvert with a constantly running inner dialogue, that I can be very different in public to how I am on here. That is why blogging is relatively easy for me: it is not a case of finding something to say….. it is just a case of filtering the endless internal dialogue and obsessive internal questioning to make it coherent. Believe me; blogging is therapy- it silences the internal dialogue for a time. In public some people say I listen, am reasonably tolerant and get on with all kinds of people. On here, however, I can be trenchant, opinionated and perhaps even outspoken. 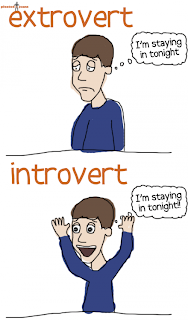 That is just how it is with us introverts with extrovert features: so deal with it! Which is exactly the kind of comment that I would make on here, but never face to face….. The church service was simple: a bit of liturgy- not too wordy, a 10 minute sermon and a couple of hymns and the simplicity was refreshing. Coming from a Protestant tradition, our worship services seem a bit too manufactured at times- we sometimes seem to be trying too hard and focussing too much on the Sunday hour. This tends to get magnified in a larger church: Sunday worship absorbs an awful lot of preparation time and can lead to a culture among some Christians of ‘expecting to be fed’, which at its worse leads to passive involvement and when your consumer needs are not met you move. *Is simple all age liturgy and shorter worship times the way it ‘should’ be? It places more emphasis on adults explaining to children in small groups and involving them. It places less emphasis on the person (s) at the front providing things. *This would mean that more ‘faith formation’ would have to take place in households and extended households and be prompted by what happened on Sunday. *Are churches with large and extensive children’s work allowing Christian parents to outsource their children’s faith development to someone else? We commute to Tesco for our food, B& Q for our DIY, we buy in people to clean our house, we commute to a church that provides for our children? * Maybe once every few months something big could be attempted, but is the future small, simple worship gatherings with much more happening in friendship/relationship groups? Just thinking: and this is for someone who loves all age work, experimental approaches etc….. but who occasionally feels the pressure….